Q: How does he know that the girl is the daughter of the old man he talked to? On the first day of the twentieth century, an infant is discovered in the coal room aboard a luxury liner. The worker (Bill Nunn) who discovers the child on The Virginian names him 1900 or more accurately Danny Boodmann T.D. Lemon Nineteen-Hundred. Eight years later the boy loses his "father" in a ship accident but discovers an amazing ability to play the piano and a legend is born. 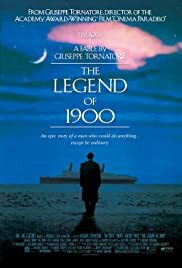 It is indeed The Legend of 1900, a fable by Giuseppe Tornatore (Cinema Paradiso) based on a dramatic monologue by Italian novelist Alessandro Baricco. The story is about a musical prodigy who spends his life aboard a ship, sailing back and forth between the U.S. and Europe, entertaining the passengers with his unique talent but never sharing it with the rest of the world. The film is narrated by Max (Pruitt Taylor Vince), an American saxophone player whom we meet at the beginning as he tries to pawn his trumpet. On leaving the shop, however, he hears the only recording 1900 ever made, a master that he had broken into pieces but that was later restored. When he finds out that the master came from a ship about to be demolished, he rushes to save 1900 whom he is sure is still aboard. In the process, he tells his story to convince others that 1900 exists. Through flashbacks we learn about 1900 and how he navigated his life from stem to stern. The question throughout the film is whether or not 1900 will abandon the ship and set foot on land? There is a hint that he might do so after he meets a beautiful young woman (Melanie Theirry). She inspires him to compose a beautifully expressive love song while gazing at her through a window, but the only thing that remains is the last copy of the record and an enduring memory. The Legend of 1900 creates its own world and I confess it is one that I got lost in. This is a lovely film that has a heart. 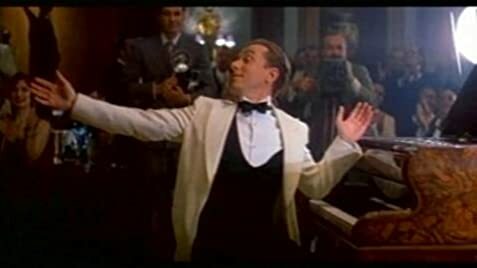 It is sentimental without question but is redeemed by the glorious music by Ennio Morricone, beautiful cinematography by Lajos Koltai, and a terrific jazz piano duel between the adult 1900 (Tim Roth) and Jelly Roll Morton played by Clarence Williams III. 1900's world has clearly defined limits and he is fearful of venturing beyond. Land represents for him a place without boundaries, where people can get lost, a place without beginning or end. To me, The Legend of 1900 may be a metaphor for people who find a comfortable niche for themselves in life and are afraid to take risks to see what the possibilities are. In many cases, as with 1900, the world will never know the contribution they might have made. 56 of 64 people found this review helpful. Was this review helpful to you?